This is just a simple plugin to change the color of the water, making the Sunscattering effect of ENBseries more visible. 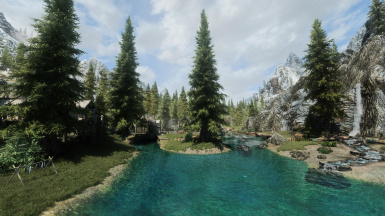 Patch for Skylight ENB's Weather Patch and Extended Patches' Water Patch Optional. Install to match expected water color. 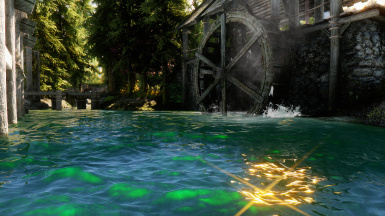 Requires Realistic Water Two to be installed as well. This is just a simple plugin to change the color of the water making the Sunscattering effect of ENBseries more visible. The sunscattering effect simulates the waves of the water being illumiated when the sun is behind them. To get a better idea of the effect watch the screenshots. The effect will be most visible around dawn/dusk when the sun is low. 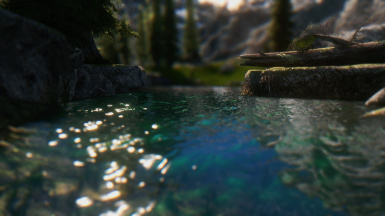 Looks best with parallax and displacement! 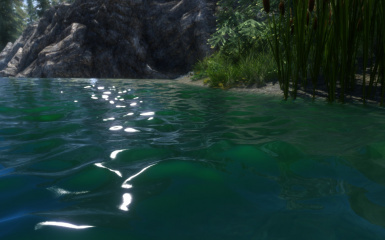 To make this plugin working you obviously need Realistic Water Two and ENBseries. 3. Activate the plugin via launcher or mod manager. 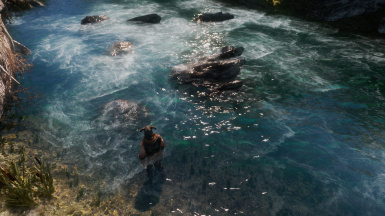 Make sure the plugin is placed BELOW any other Realistic Water Two file you have installed. 2. Search for the category "[WATER]"
3. Change the number for "SunScatteringMultiplier=1". 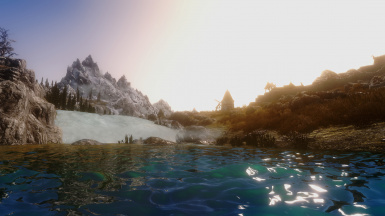 You may have to try different settings for your ENB. 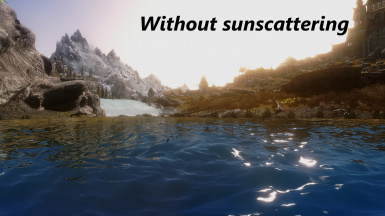 For ENBs with bright sunlight you won't need as high values, as for darker ENBs. My personal setting is "SunScatteringMultiplier=7". The visibility of the effect is also affected by the "Muddiness" parameter in the same categroy. 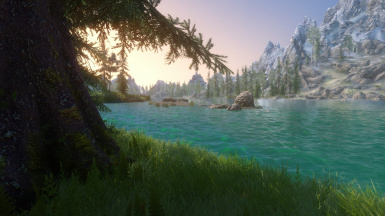 Recommended value for Opethfeldt v7 ENB is 10. Thanks to sweatervest42 for the tip! 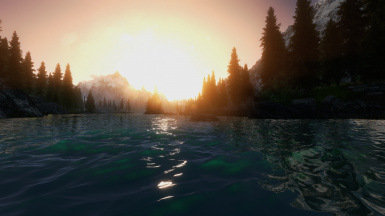 My entire ENB settings for water and underwater are now available as an optional download. No incompatibilities are known yet. If you find one, please tell me and i'll take a look at it. 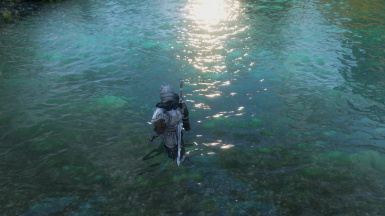 -When using the optional extended ambient sounds from Realistic Water Two the sound slider does not work for the river sound, which is pretty loud.